...At this point depending on where you are in the country, you might even have a few of your own (keep it clean please)! Meanwhile, here in Dundee however we have the bluest skies and the brightest sun with not so much as a cloud nevermind a snowflake to be seen. The girls' sledge is stuck in a cupboard gathering dust and I must admit I do feel a bit jealous when I see all the snowy pics in the papers and on the news. 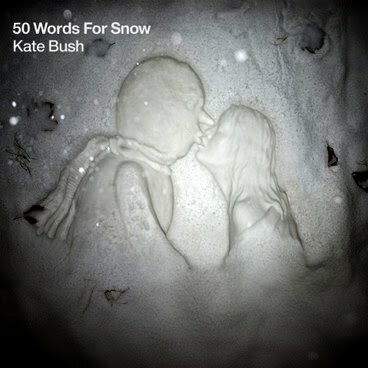 Ah well I can always listen to Kate singing about the stuff! I have loved this lady's work since I was 13 and this has to be one of her best albums in a long, long time and that's saying something since she usually takes years putting them together. If you have ever liked her, then you must invest in this and give it a good listen to. Amazing!!! Pop back soon to have a wee look round! Some blue sky today, as seen from my window!